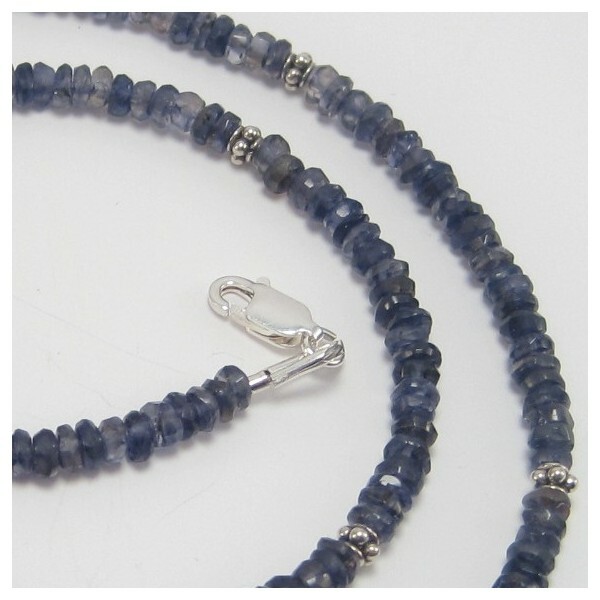 Delicate and sparkly Iolite and sterling silver necklace. 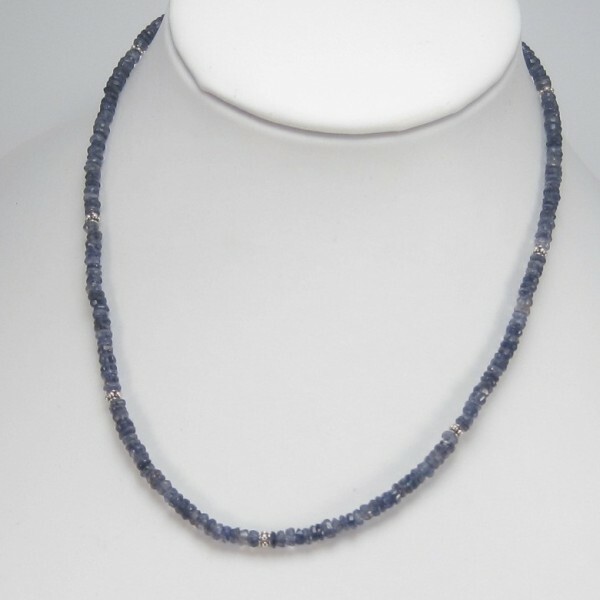 The faceted blue iolite beads bring a beautiful lustre to this necklace. Click the ADD TO BASKET button to buy this pretty necklace today. 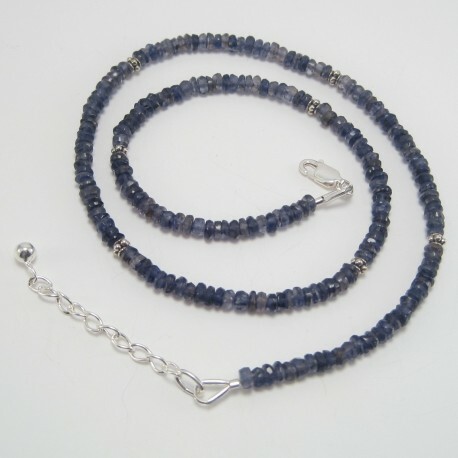 Length : 44cm including extender chain.